This season has seen the emergence of several young stars on the skating scene. Perhaps no one has made as big of an impact as South Korea’s Cha Jun-hwan, who became the men’s national champion on Sunday. Cha, a 15-year-old from Seoul, dominated at the Korean Championships in the Gangneung Ice Arena over the weekend. 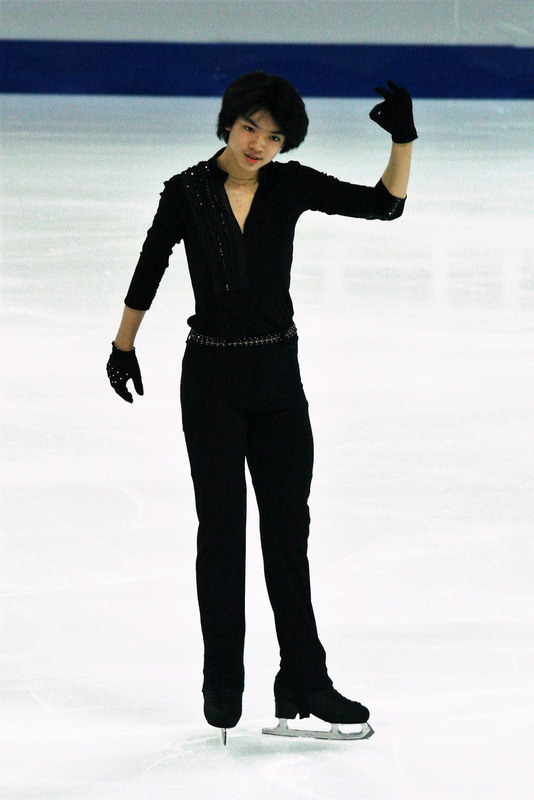 He won the title by more than 20 points over second-place finisher Kim Jin-seo at the rink that will host the skating for the Pyeongchang Olympics some 13 months from now. Cha posted a total score of 238.07 points in the victory, to easily outpace Kim at 216.16. Cha landed a quadruple salchow in his free skate, but under-rotated his triple axel and fell on a triple salchow (as part of a three-jump combo) in the second half of his program. He did appear winded at the end of his free skate, but has plenty of time to work on his conditioning and technique in the coming years. Cha burst onto the Junior Grand Prix circuit this season by winning both of his events (Yokohama and Dresden, Germany). He then finished a very respectable third at the JGP Final in Marseille, France, behind Russia’s Dmitri Aliev (who is 17) and Alexander Samarin (who is 18). Cha is coached by Brian Orser at the “Rink of Champions” at the Toronto Cricket, Skating and Curling Club, where he trains along Olympic king Yuzuru Hanyu and world title holder Javier Fernandez. Orser, who was with Cha at the Korean nationals, spoke with ISU YouTube channel host Ted Barton about his young charge following the youngster’s victory at the Yokohama Grand Prix back in September. Barton asked Orser what he thought about Cha’s potential going forward. Orser said Cha’s skating is still evolving. Orser then cited some of the jumps Cha is working on. Orser pointed out the special benefit that Cha enjoys by practicing with two giants of the sport. Barton quizzed Orser about how Cha could fare at the Pyeongchang Games. After his victory in Yokohama, Barton asked Cha what it meant to train with the likes of Hanyu and Fernandez. “They are big skaters . . . I just try to look at them and learn,” Cha replied. Orser said his big guns treat their younger colleagues with respect. “It’s nice with Javi and Yuzu that they support the younger skaters,” Orser stated. Surprise result: The biggest news coming out of the Korean nationals may have been the fifth-place finish of star You Young, the sensation who won the senior title last year at 11. You dazzled at the 2016 event, landing seven triple jumps on the way to victory, and breaking Yuna Kim’s record (who won the senior title at 12 in 2003). But it was a different story this time around. Lim Eun-soo won the women’s singles with 191.98. Kim Ye-lim (183.27) was second, with You finishing at 180.88. You, who began skating when she lived in Singapore, fell on the back end of her triple lutz/triple toe loop combo in the short program and was in sixth place heading into the free skate but was not able to make up much ground on the leaders. Hino top collegian: Ryuju Hino won the men’s singles at the Japan Inter-College Championships over the weekend in Numanohata, Hokkaido. Hino landed a quad toe/double toe combo in his free skate and claimed the title with a total of 226.22. Hiroaki Sato (216.26) was second, with Kohei Yoshino (187.78) taking third place. Rin Nitaya captured the women’s single crown with a total of 173.31. Miyabi Oba (167.13) came in second, while Ayaka Hosoda (159.76) placed third. Hosoda stormed back from ninth place after the short program to make the podium. Takahashi’s take: Following the disappointing 12th-place finish of three-time world champion Mao Asada at the recent Japan nationals, 2010 world champion Daisuke Takahashi weighed in with his opinion on Mao’s current predicament. Writing in the Nihon Keizai Shimbun (with English translation via izayukam.tumblr.com), Takahashi took a measured tone. “. . . After having been in the top for years she had the first experience not to be able to go to the worlds and that must be a damaging blow for her,” wrote the Vancouver Olympic bronze medalist. “But I would look (at) what stance she takes in competing. In my case I decided to retire when I could no longer win, but if Mao feels ‘I like challenges of competing. I want to do until I get fully satisfied,’ then she might as well continue so that she would not have any regret in her competing life. Survey says: The creativity of the folks on the skating boards never ceases to amaze Ice Time. They continually post interesting questions and discuss compelling issues, while asking for others for input. 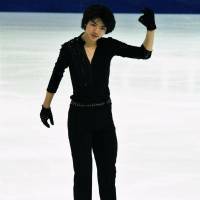 Many other people weighed in with their top 10, including Romanian user Ioanna, who runs the “Use Your Illusion” site (iguana012.tumblr.com) that put together a list of Daisuke Takahashi’s top 10 programs that Ice Time cited a few months back. Ioanna said her list was based on “personal taste” and not accolades. It’s very interesting to see how two people from different parts of the world have similar feelings about Japanese skaters (at least at the top of their lists). The popularity of Suzuki, the 2013 national champion and 2012 world bronze medalist, continues to endure, nearly three full seasons after she retired. She currently has more than 250,000 followers on Twitter. How about your top 10 Japanese female skaters of all time?